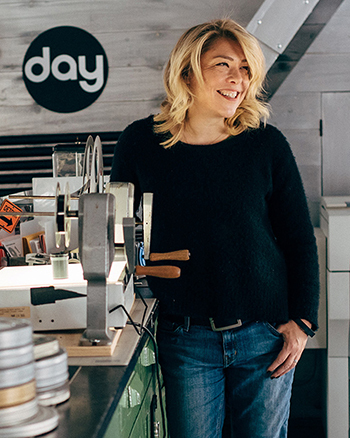 Designer and author Bonnie Siegler is in the MILK Studio with Mallory. 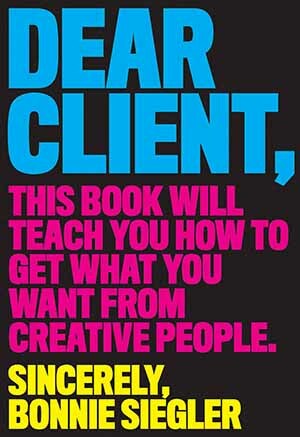 Bonnie has two new books, Signs of Resistance, a visual history of protest in America, and Dear Client, a how-to book about working successfully with creative people. Bonnie founded and runs the award-winning design studio Eight and a Half, and was voted one of the fifty most influential designers working today by Graphic Design USA. She is best known for her design work for Saturday Night Live, the Criterion Collection, HBO, Late Night with Seth Meyers, StoryCorps, Participant Media, and Newsweek. Most recently, she was the creative director of the Trump parody autobiography “You Can’t Spell America Without Me” by Alec Baldwin and Kurt Andersen and created the main title sequence for Will & Grace. She has taught at the graduate level for many years at the School of Visual Arts and Yale University, conducted workshops at the Maryland Institute College of Art and Rhode Island School of Design and judged design competitions all over the place. Journalist Rona Kobell is in the MILK Studio with Mallory. Moved by the trauma of the Parkland, Florida shooting, Rona and Mallory collaborated on a print piece about their high school classmate Karen Hurwitz, who was brutally murdered when they were all seventeen years old. Read the piece that prompted this conversation. Rona began her career covering crime in rural Missouri and later Pittsburgh, and was on the staff of the Baltimore Sun from 2000 to 2009. 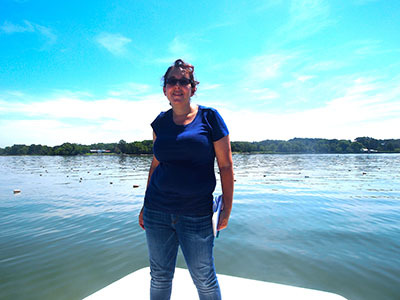 After a journalism fellowship at the University of Michigan, she moved on to the Chesapeake Bay Journal, a monthly newspaper focusing on America’s largest estuary. There, she started a monthly radio show, “Midday on the Bay,” broadcast for five years on Maryland’s largest NPR station. Rona also freelanced for several publications, including Grist, Slate, Modern Farmer, and The Washington Post. Now a science writer at the University of Maryland’s Sea Grant College, she lives north of Baltimore with her husband, also a journalist, and two children. Follow Rona’s writing @rkobell on Twitter.